Folks, Instagram now has video! 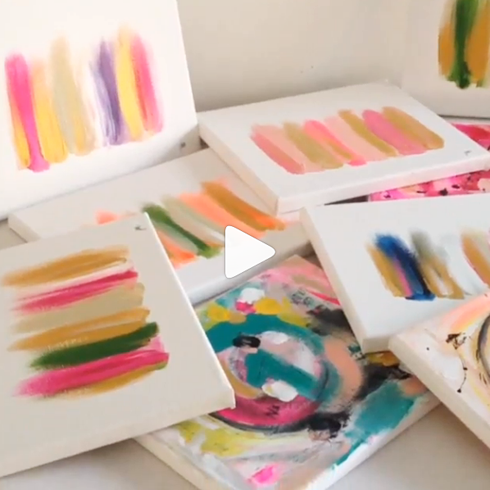 I recorded this quick vid of some Cocoa & Hearts paintings. So fun! You can see it & follow my Instagram here. What do you think of the new video feature on Instagram? Have you used it yet?? Great video! Following you now! (piccadillytown) Your paintings are so pretty. I like the IG video, it'll be something to get used to. @Mostly Lisa thanks Lisa! Yea im getting used to the video too, sometimes it takes forever to load though... have a great wknd! I find IG videos a little annoying. At first I was all excited, but then as I was quietly scrolling thru my IG in a store waiting in a long line to pay, I accidentally somehow hit the play button on someone's video during my scroll, and it came screeching out for everyone to hear...oops.